I introduce you all to Alan Wilkis, an electro-funk producer & multi-instrumentalist straight out of Brooklyn, NY. His latest EP is titled *Pink And Purple* & damn sure does not disappoint! From the melodies, to the instrumentation, to the lyrics and even voice effects; this EP is dope!! Below I posted the first 2 of the 6 cuts off of *PAP* for you all to check out! 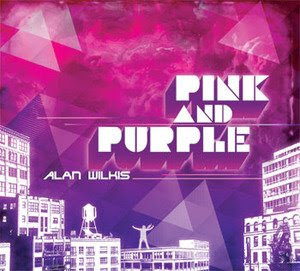 The *Pink And Purple* EP is available @ The Wilkis Store for only $6.99! You can also download it from iTunes HERE!